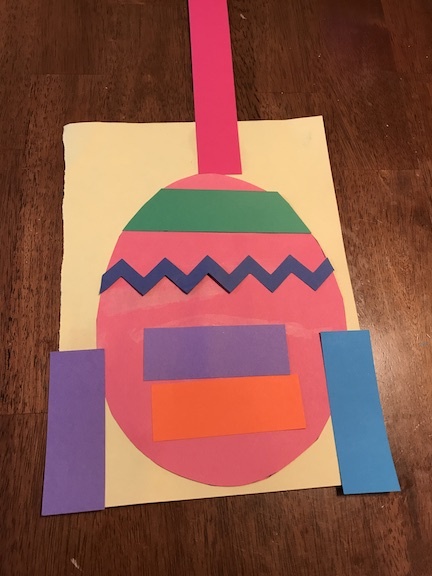 Easter snuck up on me this year, but I promised the kids we would do some Easter crafts. 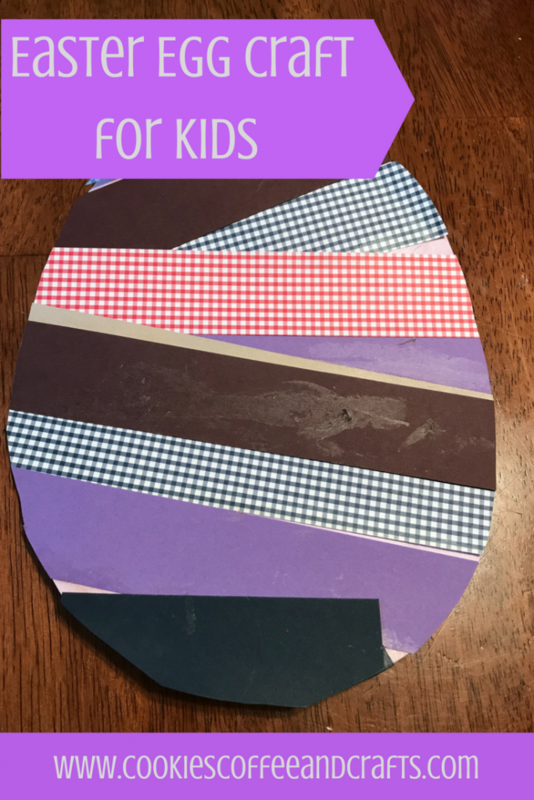 This is a simple easy Easter Egg Craft and the kids get to do their favorite thing- GLUE! 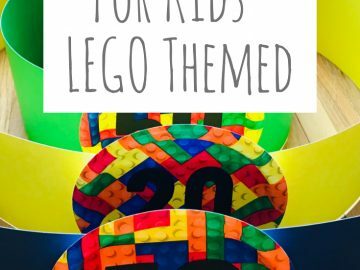 Simple for teachers, moms, babysitters, or any adult helping doing crafts. Plus I’m always looking for crafts that both of my children can do at the same time (they are 2 and 4). I must confess I am a paper hoarder. I love pretty paper and I keep it all. 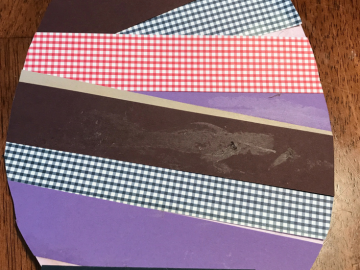 It’s time to let some of my pretty paper go to make some pretty Easter Eggs. 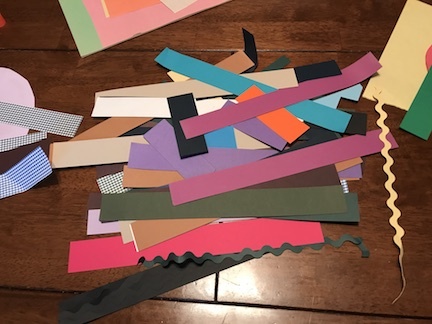 In the middle of the kitchen table, I put all of my strips of scrapbook paper that I was ready to let go of. Then all you need is an egg to trace and cut out on construction paper. I had an egg pattern already, but if you need one look for an egg coloring sheet. Print the sheet and you can trace the egg to use as your pattern. 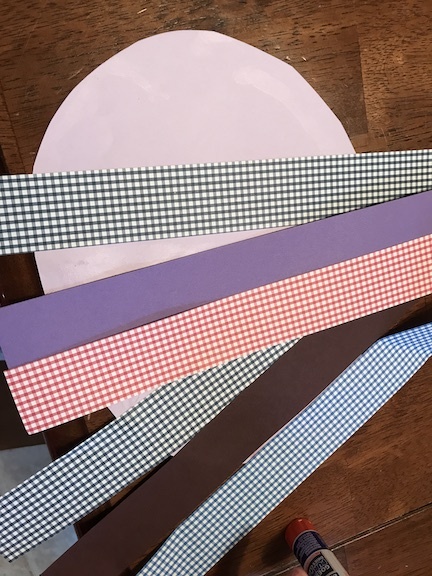 It’s time for fun to glue on the strips of paper. I just let my children create and enjoy! They loved glueing on the strips. 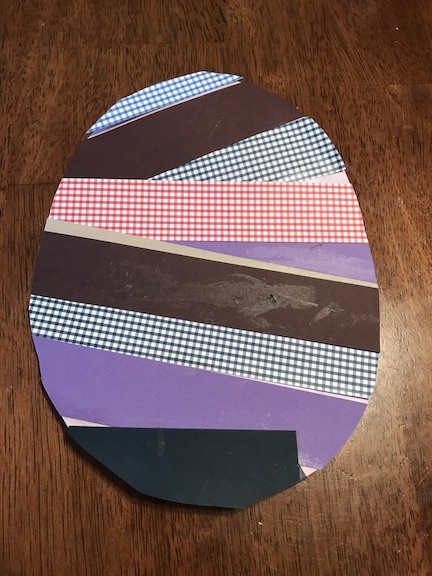 My son is very creative and has to always add his own spin on projects so he glued his egg to a sheet of construction paper. 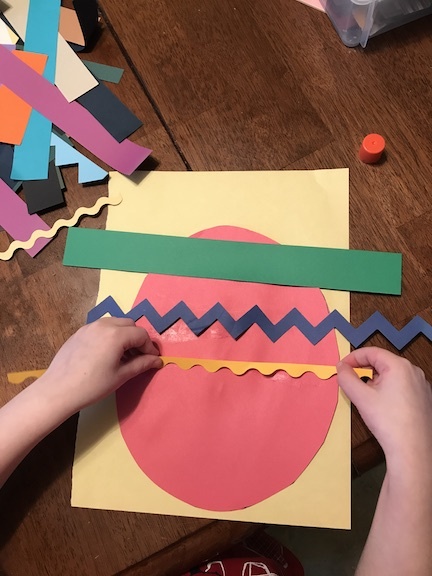 When the kids are done creating their Easter Egg, take scissors and cut around the edges to cut off the extra paper. Your child’s creative and colorful eggs are ready for display.